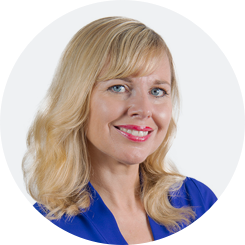 Claire has a strong business acumen and an ability to ensure that HR processes and objectives remain commercially focused. As a fully qualified workplace mediator, Claire holds The National Certificate in Workplace Mediation™, the UK’s benchmark qualification for workplace, employment and business mediators. This complements her Diploma in Psychotherapy & Counselling. She is qualified in Thomas International and Hogan Assessments. Since working for Beststart, Claire has provided a wide breadth of organisations with her expertise, skills and knowledge in many aspects of human resources. Specific highlights have been: implementing departmental restructures; designing bespoke management development training programmes; creating employee engagement programmes; and developing performance management processes. In addition, Claire has advised and supported complex grievance and disciplinary cases, appeals and conducted mediation. Claire’s HR career began in the retail sector working for Marks and Spencer where she pursued a diverse career. As she progressed within the company, she was responsible for HR teams in large stores and then held accountability for 4 National Distribution Centres. Claire undertook a role as a HR Business Partner within the global mobile telecommunications giant T-Mobile where she was responsible for delivering HR strategic projects for the South East and West regions of the UK. If you would like to speak to Claire, please call 01438 747 747.